1 How can I contact customer services? 2 How do I access my account if I have forgotten my password? If you have forgotten your password, simply select “log into your account” at the top of the web page and click “log in.” If you have forgotten your password, select the link “Forgot Your Password.” In order to retrieve your password, enter your account email address as per the instructions and click “submit”. You will then receive a link to the associated email address in order to reset your password. 3 How do I create an account with Go2Games? In order to create an account with go2games select the user icon and click “sign up”. You will then be asked to enter your personal information and to create a password. You are also able to register for an account using your social media accounts. Signing up for an account will allow you to keep track of your orders and make changes to your billing or delivery addresses, along with being kept up to date with Go2Games.com’s latest news and deals. 4 How do I log in to my account? If you have already created an account with our store, you can log in by selecting “Log into your account” at the top of the screen and clicking “Log In.” Simply log in using your email address details and password to log in and view your account. 5 What do I do if I have received a faulty product? The Go2Games team aim to respond to all customer service queries within 48 hours of receiving the query. The team are also able to assist with troubleshooting or general technical enquiries relating to your purchase. If an item is deemed to be faulty Go2Games.com will make the necessary arrangements in order to return the item for testing or a refund/exchange. 6 How do I search for a product? If you would like to search for a specific product please use the product search which is situated at the top of Go2Games.com. 1 What methods of payment do you accept for placing orders? Our customer services team are also able to place orders and take payment via telephone order therefore if this option is preferred, please call our customer services helpline on 0800 862 0440. 2 Can I change my payment details and billing address? Once you have completed the checkout process and your order has been confirmed, unfortunately we are unable to change any payment details or billing address information. If you use the incorrect details with your order in error, alternatively we are able to cancel your order if a cancellation request is sent prior to the dispatch of the order. For any order related queries please feel free to contact us via the online contact form or between the hours of 9.30am to 5.00pm Monday to Friday on the customer service hotlines below. 1 Can I return my order if I have ordered an incorrect item? If you have ordered an incorrect item in error, please get in contact with our customer services team as soon as possible so that we are able to assist with any return arrangements. We are able to receive the return of any item which has remained sealed and in its original condition within 30 days of receipt, in line with our returns policy. Please note that we are unable to accept the return of any software which has been unsealed therefore please do check console, region or system requirements before purchase or prior to opening and removing the seal of an item. 2 Is it safe to order over the internet? and do not store any personal information. Rest assured that any personal and payment information used during the order process is encrypted and protected for a secure shopping experience. 3Has my order been dispatched? Once your order has been dispatched from our warehouse, you should receive an automated dispatch email to inform you of this. If this dispatch confirmation is not received and you have any concerns regarding the dispatch of your order, please contact our customer services team via email or telephone so that we can investigate for you. 4How can I cancel an order? customerservices@go2games.com with your cancellation request and provide your order number and the item or items you would like to cancel. Alternatively, you can call us directly via our customer services line on 0800 862 0440 and we will be able to review the status of your order and confirm the cancellation if this is requested in time. (Please be advised that our customer services team operate Monday to Friday between the hours of 9.30am and 5.00pm). As we promise same or next day dispatch, we cannot always guarantee that your cancellation request will be received and processed prior to the dispatch of your order item. If the item is dispatched prior to your cancellation request, we will be happy to receive the return of sealed and unused items within 30 days of receipt in line with our returns policy. Please note that we will be unable to refund any return postage cost or original postage costs. 1 How long will it take for my order to be delivered? Orders Despatched direct from our UK warehouse are despatched the same or next working day. Orders despatched from our European distribution centre are despatched within 3-5 working days. Some of our specialised ranges may need direct ordering from our supplier which will mean despatch times may be between 5 – 10 working days. Go2Games.com are proud use a number offer several different delivery options to suit your needs. Royal mails delivery guidelines for postage times for 2nd class post is 1-3 working days from confirmation of shipping. Go2Games.com offers a tracked 48-hour delivery service via Royal Mail who’s guidelines state that shipments will take a maximum of 2 working days from confirmation of shipping. 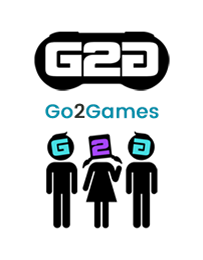 Go2Games.com offer an express service via Royal Mail, UPS or DHL dependant on the item. All services aim to deliver within 24 hours of confirmation of shipping. All of the above delivery lead times are guidelines only as set out by the delivery service provider. If you have any further questions regarding delivery or expected delivery times please do not hesitate to contact the customer services team. 2 What countries do you deliver to internationally? 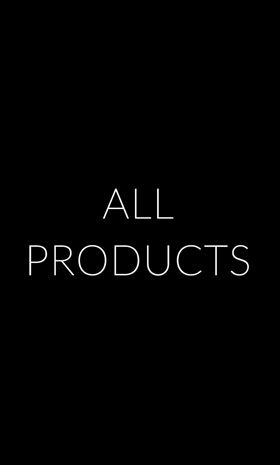 3 What products are available for international delivery? While most of our products are available for delivery internationally, some products may be subject to restrictions. If you are unable to find your delivery destination within the country drop down menu at checkout, it may mean that we are unable to deliver to your desired destination or restrictions may apply. If you have any queries regarding delivery to your destination, contact our customer services team directly so that we can help. 4 Can I change my delivery address? You can request to change your delivery address prior to the dispatch of your item and our customer services team may be able to make the necessary amendments prior to the dispatch of your order. Please be advised that delivery address changes are not always possible but we will always do our best to accommodate should any input errors occur during the checkout process. If the delivery address cannot be changed and your request is received before dispatch, we are able to cancel your order so that you may place your order again using the relevant details. In most circumstances due to fraud protection we may only ship to the billing address to which the card used is registered. 5 Can I get Next Day delivery? We offer UK Next Day delivery as a delivery option for UK orders at the point of check out and this is available at a cost of £4.95. Please note that the cut off period in order to quality for next working day delivery is 2pm. Orders placed after this time will be dispatched on the next working day and will therefore be delivered on the following working day. If Next Day delivery is not selected at checkout, all our UK orders over the value of £10 automatically qualify for free standard delivery which is estimated by couriers within 3 working days after the dispatch date. Go2Games.com operates a 30 day returns policy. If you’ve changed your mind on an order that has been delivered please contact our customer services via the below methods. Using our Online Returns form which can be found here. Alternatively please do not hesitate to contact our customer services team on 0800 862 0440 Monday to Friday between the hours of 9.30am - 5.00pm. Items received by post or courier may be returned for a full refund within 30 days if the original manufacturers seal is not broken. Items that have been opened and a return request is raised within 30 days may be returned for a partial refund. Faulty software where the seal has been broken may be returned up to 3 months after the despatch date. Software despatched digitally are non-returnable or refundable items after confirmation of despatch by Go2Games.com. Hardware that has been opened and a return request is raised within 30 days may be returned for a full refund provided all component parts are returned in a sealed condition. Faulty Hardware may be returned within 12 months of the date of despatch for a like for like exchange. Once a return request has been raised a member of the customer services team will contact to raise the return and issue a return form and Freepost Returns Address Label. When returning an item please ensure it is suitably packaged. Please be sure to print and fill out the RMA form once return is authorised. If you do not have access to a printer please ensure you place a note with your name and order number into the package. Customers are advised to obtain a proof of postage when returning any item to us, for your own records and insurance should anything happen to the product while in the care of Royal Mail. 2 How do I return items internationally? 3 How will I receive my refund? When returning an item(s) the original payment method used for the purchase will determine how you will be refunded. As PayPal is an online payment gateway processing monies back into your PayPal will take 3-5 working days before showing in your account. Go2Games.com will only refund to the payment method used in order to make the purchase. 4What is the returns, exchange and refunds policy? Any software may be returned for refund or exchange within 30 days of the despatch date, providing that the seal remains unbroken on the software. Faulty software where the seal has been broken may be returned up to 3 months after the despatch date. Hardware or peripherals may be opened for the purpose of inspection (but not used) and may be returned for refund or exchange within 30 days of the despatch date. Please note that hardware must contain every component part (cables, memory sticks etc.) before it can be accepted as a return. Faulty hardware may be returned for a like-for-like exchange up to 12 months after the despatch date. This does not affect your statutory rights. All confirmed and shipped orders will receive an order confirmation and despatch notification via email. Should you ever need to return an item, please contact our customer services team. Once your item is suitably packaged for return, simply place this label on the front of your package and drop it into any post office. We advise requesting a proof of postage when returning any item to us, for your own records and insurance should anything happen to the product while in the care of Royal Mail. When returning an item, please ensure to place your name and order number with your item, so that we are able to easily identify your order and minimise any delays in the returns process. Before returning any item, please ensure it meets our return requirements as outlined above. Any item returned that does not meet our return requirements will be returned at the expense of sender.